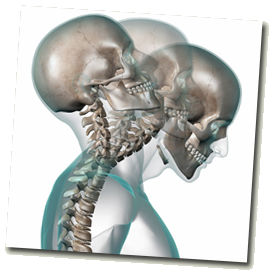 This is an injury caused by a large force going through the neck. It does subtle damage to the joints, tendons, muscles, and ligaments of the neck. The symptoms may begin immediately or slowly develop within week or even months after the trauma. Sometimes, the spinal nerves will be affected – causing pain, numbness or tingling into one of the arms. Motor accidents are common causes, but any major collision can be the cause. Repeated episodes of whiplash can compound the issue.